We spent a few days in West Sussex to celebrate my birthday in April. 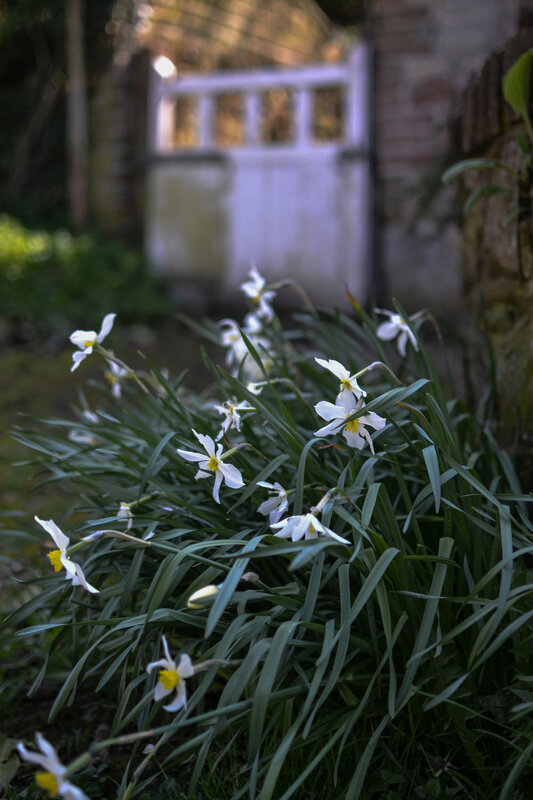 Our visit coincided with some glorious Spring sunshine and we soaked up the vitamin D, wandering along flower-filled lanes and visiting pretty villages. We stayed near Petworth and did a bit of exploring around that area. 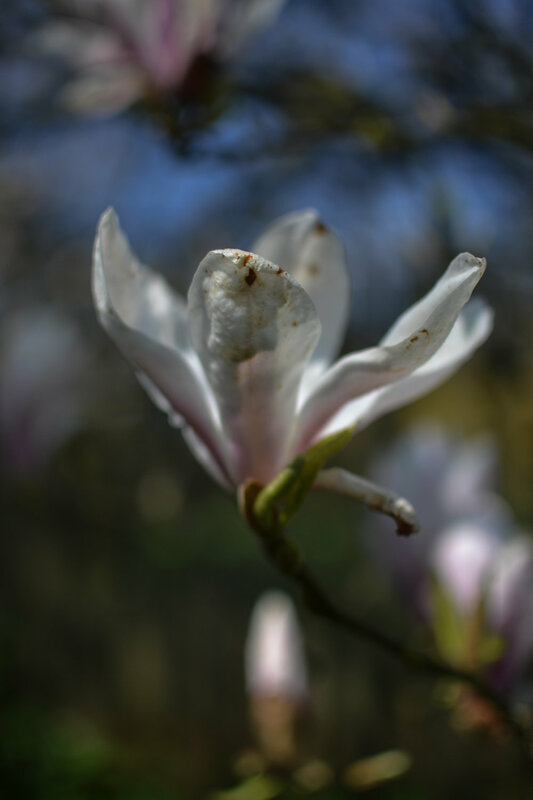 Our visit also coincided with prime magnolia season. 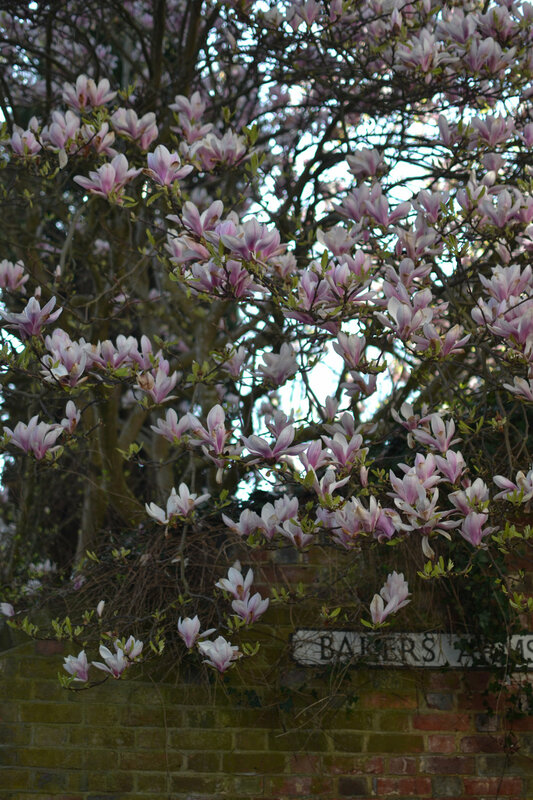 I think the magnolia trees have been particularly beautiful this year. 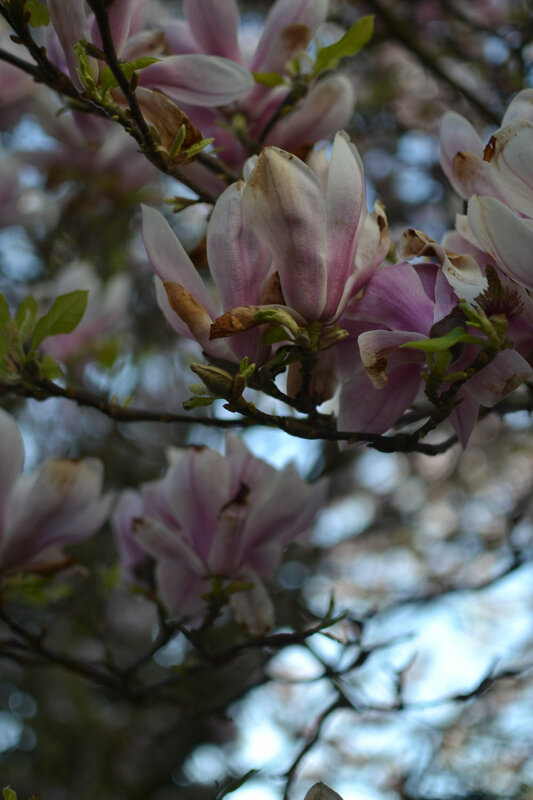 It felt like everything was just starting to bloom. The hedgerows brimmed with vibrant green, primroses reached their happy little heads skywards and flocks of delicate cuckooflower bobbed gently. Isn't it amazing how sunshine makes everything look and feel so utterly beautiful? We celebrated my birthday (32!) with a gentle sunny stroll in the morning and then a very delicious lunch at the Half Moon in Kirdford. We popped into Arundel on the way home for a spot of antiquing but we will have to return as we didn't have much time to look around properly. Nye had a brilliant weekend, crawling on the dewy grass, watching the sunlight and shadows, touching flowers and leaves, and meeting lots of dogs, chickens and kitties! Our first visit to West Sussex and we loved it. A return trip is on the cards. Sign up to receive news and updates including interior tips and inspiration, weaving news, seasonal recipes, poems and lots more!